There are so many different kinds of bed sheets; cotton, flannel, satin and more. On top of that, there are different thread counts and different opinions about how often they should be washed. 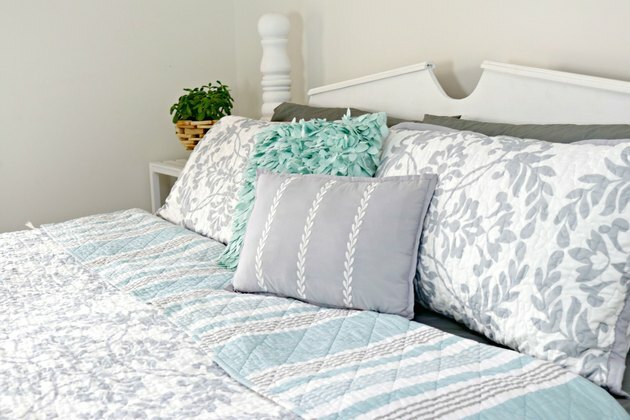 Not only will this tutorial show you how most bed sheets should be washed, it will also answer a few questions you may have about how often to wash them and the difference in thread counts. To keep your sheets clean, you should wash them once per week. The average person spends up to 56 hours per week in bed, and during that time, you are shedding dead skin cells, body oils and sweat. During that time, dust mites and allergens are also absorbed into your sheets. Pretreat any stains on your bed sheets with a mild stain remover. 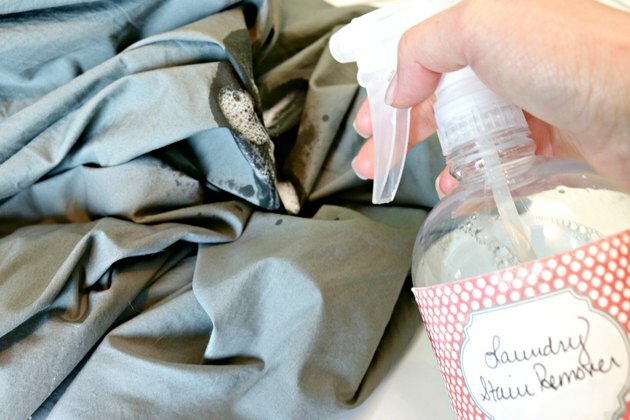 You can easily make your own laundry stain remover with only two household ingredients! Set your machine's water temperature to warm or hot. Warm water will help kill allergens. Before washing on warm, be sure to check the care instructions on your bed sheets. Some bed sheets may require cold water for washing. Warm water can be used for washing in most cases, but if your bed sheets are really soiled, hot water can be used. Start your machine, and add laundry detergent or a laundry pod. You can make these DIY laundry pods in a few simple steps. Add your sheets to the washing machine. Be sure not to wrap sheets around the washing machine's agitator so your sheets don't get stretched. This could break the threads of your sheets. Gently place the fitted sheet on one side of the washing machine's agitator, and your flat sheet on the other. Pillow cases can be placed in between the sheets. Dry according to your sheet's care label. Drying your bed sheets on high heat can cause breakage of threads and also wrinkling. Try drying your sheets on the "low heat" setting instead. Check during drying time to make sure your sheets aren't tangling. To prevent tangling and wrinkling, you can use wool dryer balls in the dryer to help fluff them and move them around. 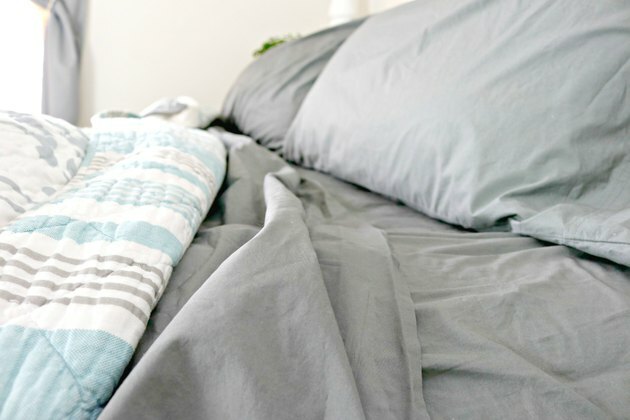 For minimum wrinkling, place your sheets on the bed while they are still slightly damp. This will also help stretch them over the mattress without breaking the threads. Thread count refers to the number of threads per square inch of your bed sheets. Typically, the higher the thread count, the softer and more high quality the sheets are. Thread counts can range from 200-1000. Bed sheets are traditionally cotton, but there are other options such as satin or flannel as well. Cotton sheets are very durable and easy to care for. Satin sheets are typically more silky and stay cooler. Flannel sheets are made out of flannel and are mostly used in cold temperatures to keep you warmer.